LASER COMPONENTS USA, a specialized provider of laser and optoelectronic components in the US and Canada, reports on the first IR WORKshop in the US, an event dedicated to top-notch IR technology that took place November 8 – 9, 2017 in Tempe Arizona – home of Arizona’s largest public state university ASU. IR Detectors and new materials development, Mid-IR spectroscopy and sensing, Quantum Cascade Lasers, and commercial applications were largely covered on the agenda. 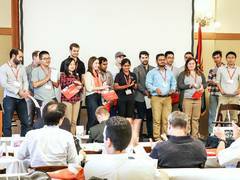 Among the prominent speakers were Aidan Brooks from LIGO Labs CalTech, Jerry Meyer from Naval Research Laboratory, and Prof. Raphael Tsu from the University of North Carolina; known for the invention of superlattice structures. 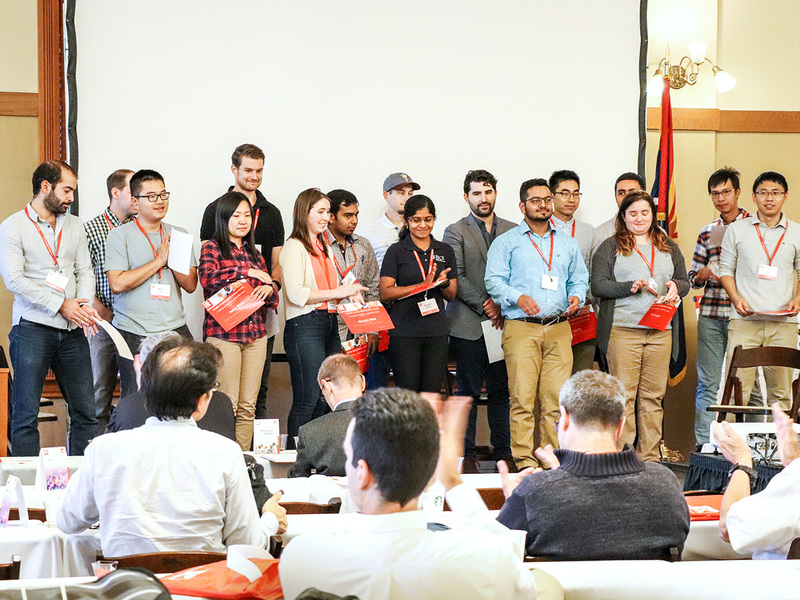 The well-balanced program of theory and applications attracted more than100 engineers, general managers, industry professionals, and students. A well-respected Advisory Board, MIRTHE+ Photonics Sensing Center at Princeton University, and the Center for Photonics Innovation at Arizona State University greatly contributed to this success. With a good number of participants and a private setting, speakers and general attendees were open to share information and interact on the subject matters. “From talking to our attendees, we learned there is an audience who is specifically looking for small workshops,” said Myriam Gillisjans, Marketing Manager at LASER COMPONENTS USA. “It allows for more interaction time not possible at large conferences where everyone has strict schedules and is going from one talk to the other,” Gillisjans said. To round off the two-day event, five participating students have been honored for their outstanding work in STEM (Science, Technology, Engineering, and Math). The IR WORKshop offered them the perfect platform to share their experience, talk to industry leaders and potentially look for job opportunities. A future event in 2019 is already guaranteed. Those interested in participating at the 5th International WORKshop in Olching, Germany, can find more information following the link below. Company: LASER COMPONENTS USA, Inc. The first IR WORKshop in the US - a success!